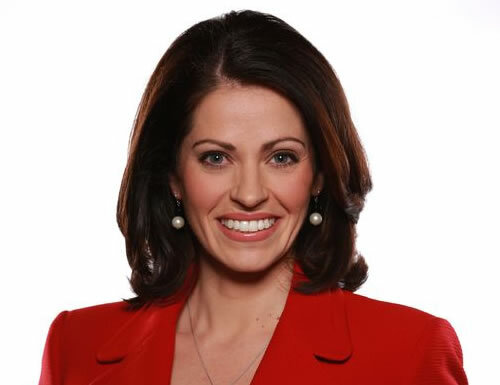 Kerry Kavanaugh joined Channel 2 Action News in September 2010. She started with an early 2 a.m. wake up call on Channel 2 Action News This Morning. In March 2011, Kerry was promoted to take over the station’s Gwinnett County bureau. You can now find Kerry’s stories on Channel 2 Action News at 4, 5, and 6 in the afternoon. Before coming to Channel 2, Kerry was a reporter and anchor at the ABC affiliate in Tampa, Florida. In Tampa Bay, she covered Florida politics and consumer issues. In 2009, the Society of Professional Journalists awarded her first place for consumer reporting in Florida. Kerry also spent two years at WHO-TV in Des Moines, Iowa. In Iowa, Kerry covered everything from tornadoes to the immigration debate. In 2007, she traveled to Villachuato, Mexico to reconnect with undocumented immigrant workers after their meat packing plant was raided and they were deported. The Associated Press of Iowa and the Iowa Broadcast News Association honored her series of stories with first place documentary awards. She was also part of the team which earned WHO-TV an Emmy for Best Newscast. Kerry got her start in TV out west in Bozeman, Montana. She was a one-woman show: shooting, writing and editing all of her own stories. She is a native of Boston, Massachusetts and attended Boston College. Let’s go Eagles! She loves her Boston sports teams, but cheers on the Atlanta teams too. Kerry is fluent in Spanish. She loves traveling and trying new restaurants, so pass along your suggestions. She lives in Gwinnett County with her husband, Jason, and their dog, Jerry Springer Spaniel, and their cat, Nomar.